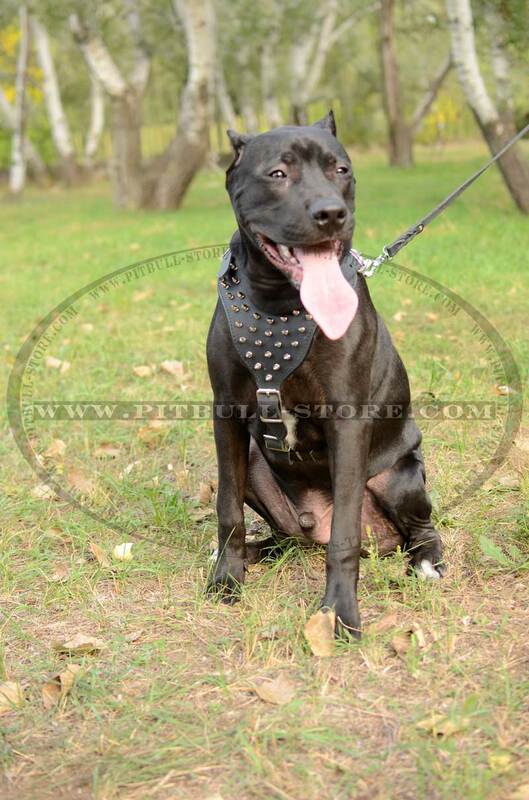 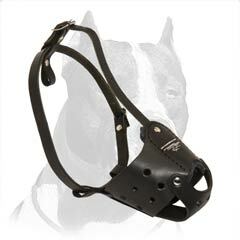 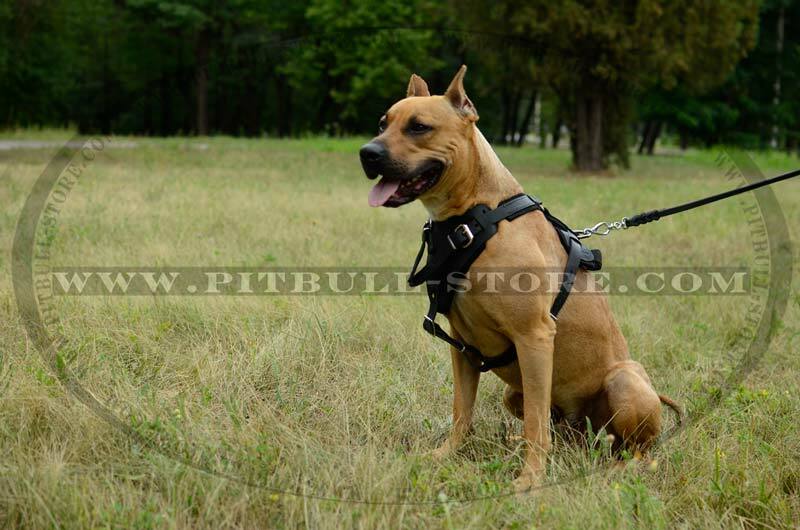 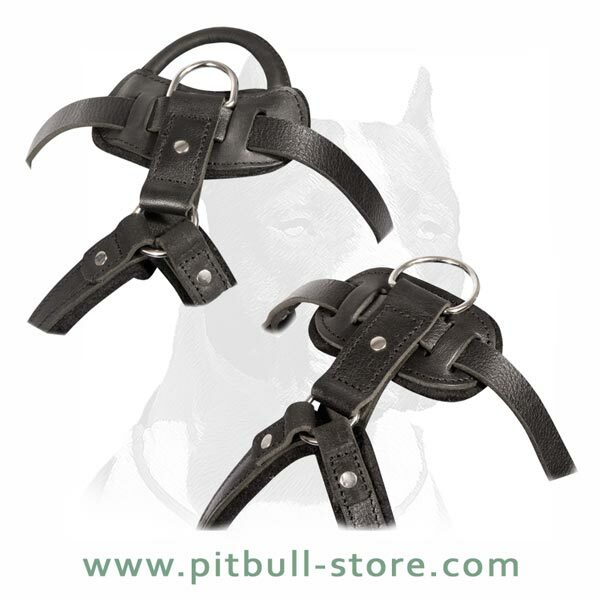 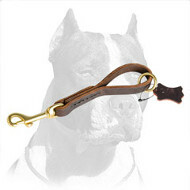 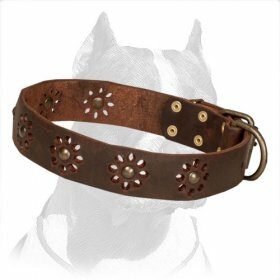 Choose from our store a Harness in brown or in black to better emphasize the specific of your petТs coat color, and also select Nickel plated or gold-like Brass fittings. 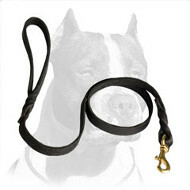 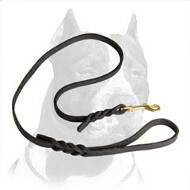 Purchase this†robust and beautiful†Harnesses for training and your pet undoubtedly will be thrilled with this gift! 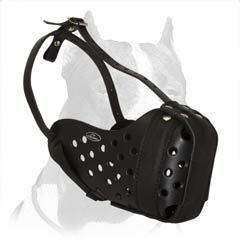 What are the advantages of this agitation/protection Harness over others? 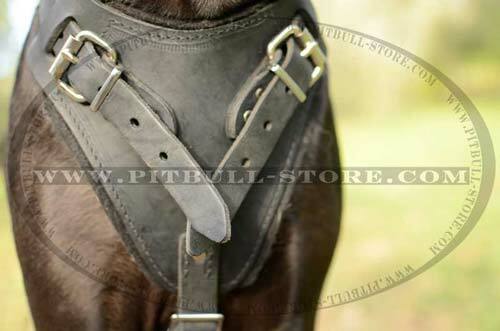 First of all, our Leather Harnesses are far superior the others in durability. 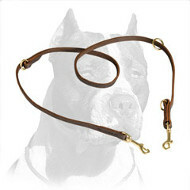 They are always made of selected genuine leather by hands of high-class craftsmen. 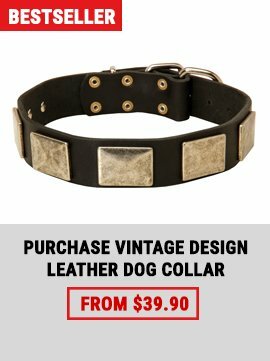 We never use leather off-cuts. 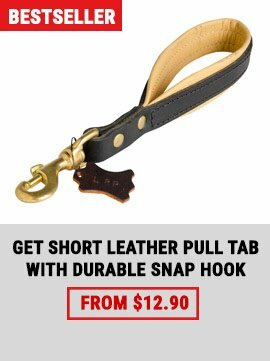 Each instance is tested for strength, and we want to inform you that the figures of tensile strength far exceed the applicable loads. Full-grain Leather retains its shape, it is pleasant to the animalТs body, however, all edges are very soft and polished so as don't cut into the dog's body. 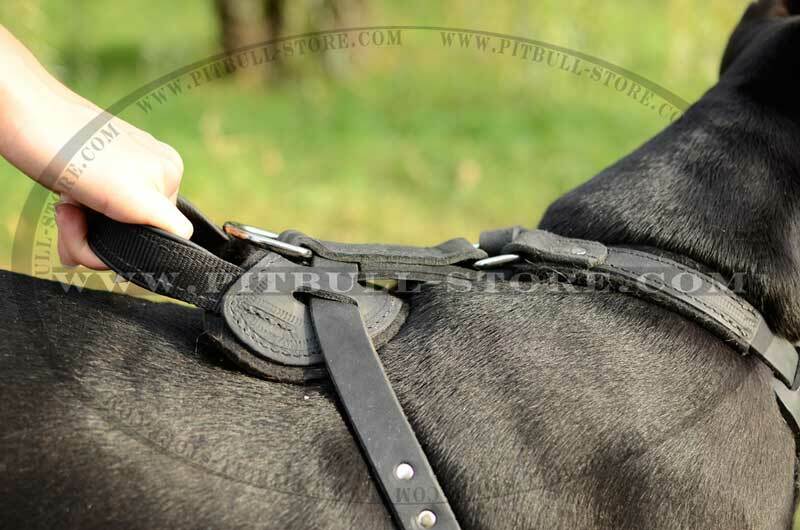 Secondly, the Harness is lined on the chest and on the back plate with 8mm soft felt, which reduces the risk of rubbing and hair tangling. 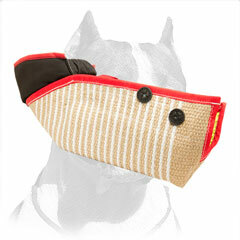 Your pet will feel Cozy and Comfortably as if he is worn in a soft scarf. 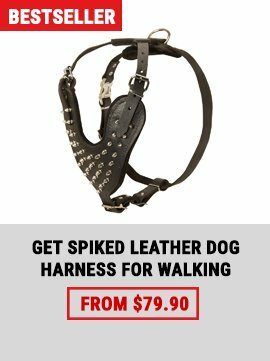 Thirdly, the Harness fits perfectly for ordinary walks, trips on public transport, as well as for exhausting agitation training or obedience training. It has Light weight, durable metal hardware and, as we already said, high tensile strength. 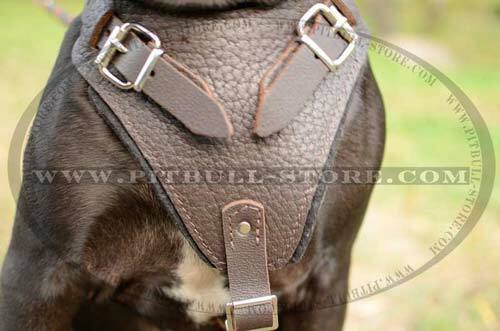 Forget about purchasing of several Harnesses! 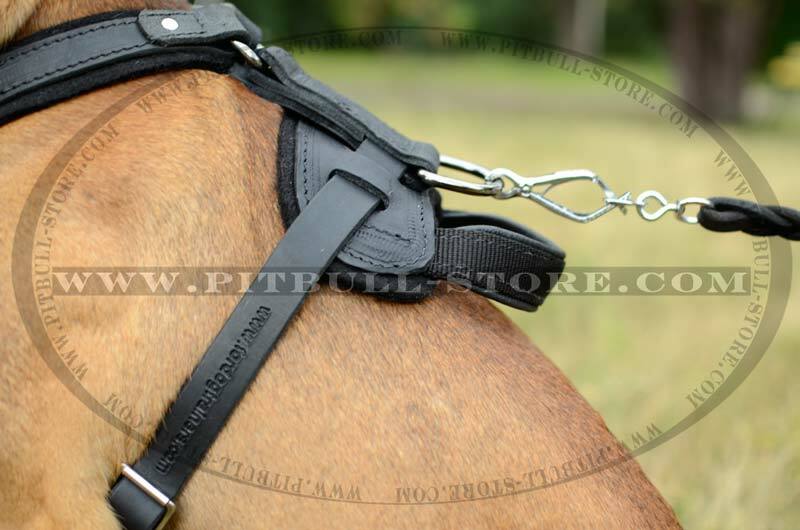 With us you will save your money and time! 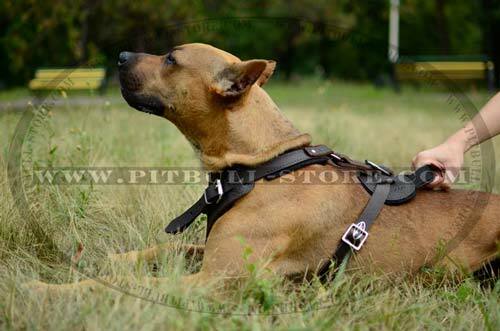 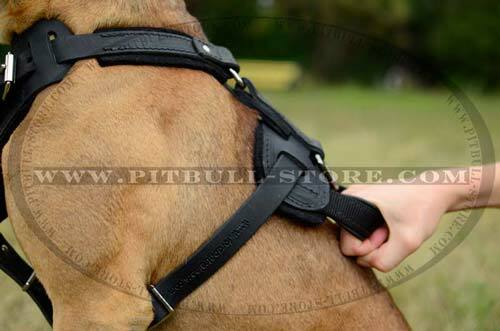 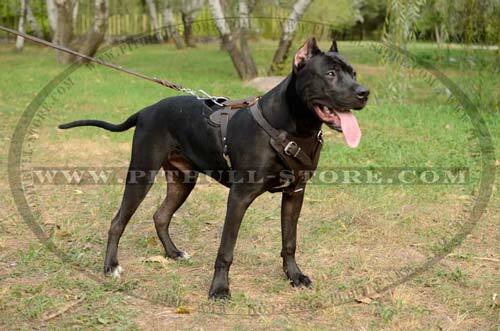 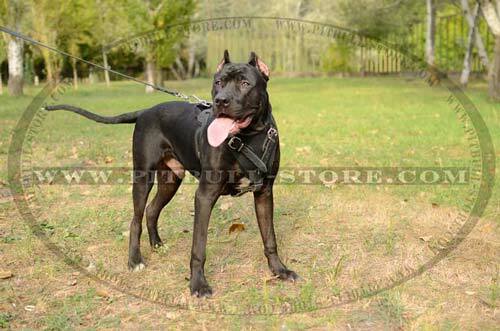 A high-quality Multipurpose Harness will be enough for main dog actieveties for several years.